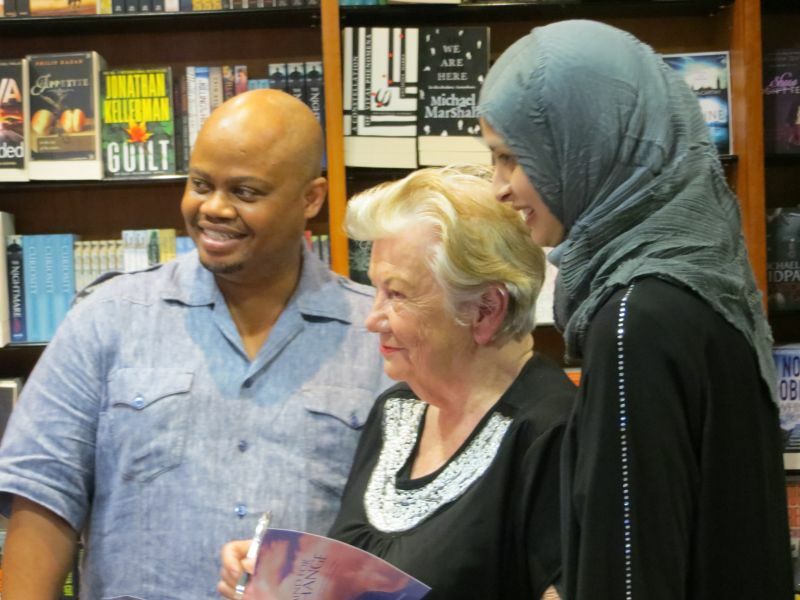 umSinsi Press’s latest book, Mind for Change, co-authored by Felicity Keats and Mariam Akabor, with a foreword by Buyani Mhlongo, had a happy launch at Exclusive Books, Pavilion, Westville on Wednesday 28th August at 11.00am. Early Childhood Development is a key issue at present, “more important than nuclear bombs” said one practitioner. This book deals with the creativity of the right brain from the time of birth, through school years into adulthood, with help for parents behind the children helping them to make friends with their right brains! Buyani Mhlongo opened the launch, followed by Mariam Akabor speaking on young children and their learning ability. Felicity then showed the Youtube clip of Dr Jill Bolte Taylor, brain scientist at Harvard University, with the two sides of the brain clearly visible and with her explanation of the very different roles they play in each of us. At the launch of Mind for Change at Exclusive Books. In the book, Mind for Change, Mariam talks about Dr Bolte Taylor’s experience of having a stroke which helped her to fully understand the right brain. Mariam adds that one needn’t have a stroke to learn about the right brain, as the knowledge was in this book! 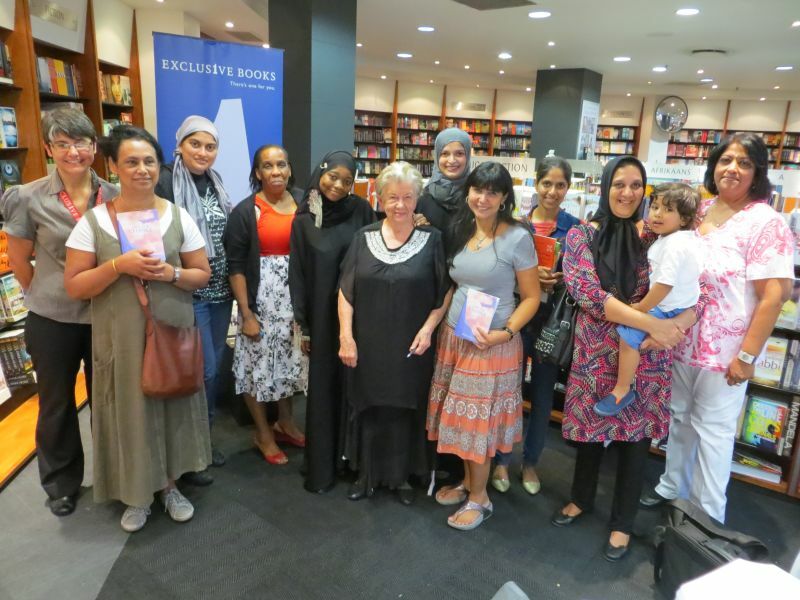 We thank Linda McCullough of Exclusive books for hosting us.